kt literary » Blog Archive » Congratulations Ashlyn Macnamara – our newest USA Today bestselling author! 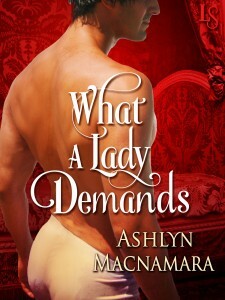 Please help me congratulate Ashlyn Macnamara – WHAT A LADY DEMANDS, an historical romance novel and the second in her ETON BOYS trilogy, just hit the USA Today bestseller list for the first time!!! So excited for you Ashlyn – congratulations and here’s to many, many happy readers! ← RITA-nominated THE HEADMASTER released as a stand-alone!